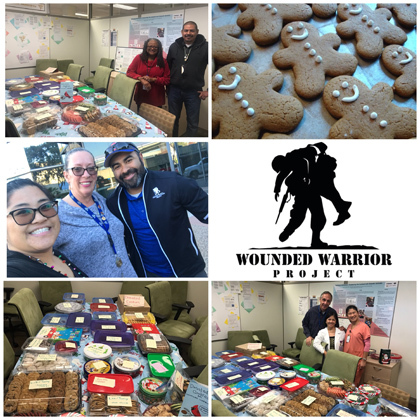 Staff at Edgemoor - with an assist from patients - baked and decorated dozens of treats for a Christmas Cookie Donation Drive for the Wounded Warrior Project. Approximately 60 dozen cookies were donated including maple bacon cookies, nutella-filled chocolate chip cookies and white chocolate cranberry cookies. Residents from the occupational therapy and therapy recreation groups worked together to bake cookies as part of the effort. The non-profit Wounded Warrior Project will be distributing the goodies to service men and women this holiday season.